You will now be able to play in another KEY. 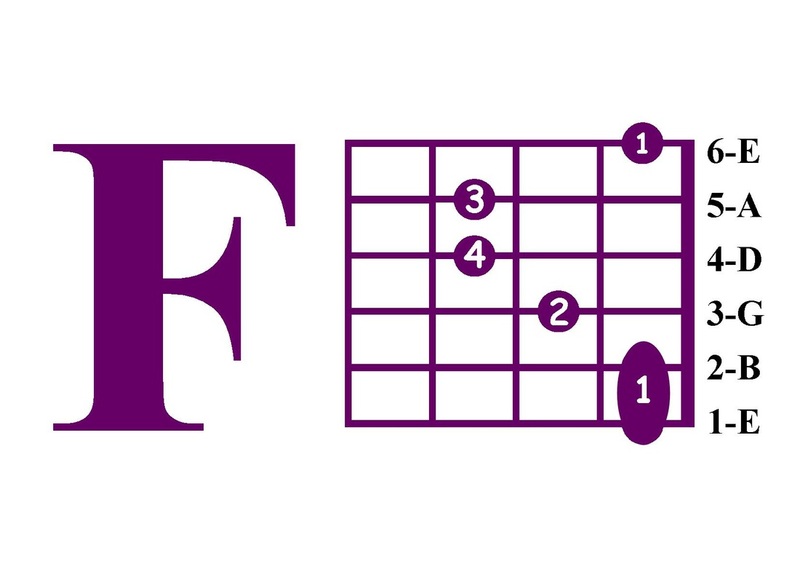 just by adding the F chord... We welcome you to the Key of C.
The Video For Class # 3 is a little over 5 minutes long. Special Note: At that first fret... you will see finger number 1 showing up on the 1st & 2nd string, and on the 6th string. That is meant as an either / or... I just use the 2 smaller strings. If you choose to include the 6th string... you must place your 1st finger as a bar across all 6 strings. If you just use strings 1 and 2, then you won't strum that 6th string. See the video for claity on this.